Kori Ashton shares her favorite books on her bookshelf about creativity and productivity. There’s also a few about growing your tech team and building a strong culture in your workplace. Hey y’all, welcome to another WordPress Wednesday. My name is Kori Ashton, and today I’m going to answer a question from Celine who asked me, “Hey Kori, can you tell us some books “that are behind you on the shelf? “What are you reading these days?” So, this little section right over here, on my shelf behind me, I’ve gone ahead and pulled some of the books that I love and give you a couple resources, some really cool ideas. If you’ve not read these yet, definitely check ’em out. I’ll put the links to all these in the description box below and I’ll give you some more ideas here in a minute, but we’ll start you off with three of my favorites that help me with creativity. I’ve talked about ’em before, but, I want you guy to check these out. This one right here is interesting. It’s “Manage Your Day-to-Day: Build Your Routine“, “Find Your Focus”, and “Sharpen Your Creative Mind.” So this one’s really cool to just kinda help me understand how to maximize my time in a day and prioritize what I’m trying to do and still get creative! So, staying on that same thread of creativity, I want you guys to check out Austin Kleon. Really fantastic two books that I really, really loved. “Steal Like An Artist: 10 Things Nobody Told You About Being Creative“. So this is a really great tool. I know it’s a short read which I really love. Most of these reads are going to be pretty short reads. But how to just get your creative juices flowing. So really cool ideas there. And then “Show Your Work“. This book’s very interesting ’cause this is really the concept behind even this YouTube channel. This is all about helping, kind of, reveal your process. 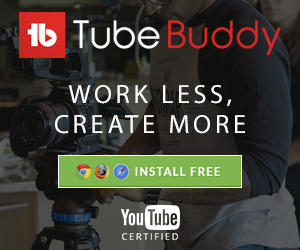 The subtitle says, “10 Ways to Share Your Creativity and Get Discovered.” So, getting discovered is not really why I created this YouTube channel. I wanted to help the WordPress community. But, that’s been a result of. It’s just kinda, even at WordCamps, I’ll walk through the door and people come up to me and say, “Hey aren’t you that YouTube gal?” So really cool opportunities. But definitely, “Show Your Work”, learn how to do this, this is a great book. Alright. As we were growing our team here at WebTegrity, we picked up “Rework“. So it’s a New York Times Bestseller, but it’s also by the guys, “37singles”, the guys who did Basecamp. So if you’re using that software, really take a look at this book, it’s pretty cool. It teaches you, kind of, some in’s and out’s on basically how to grow your team. And it really, truthfully, kind of is gonna rework the way you think about your culture, your environment, your team, growing your business. Very very interesting book, very edgy. Alright, so here’s another one. If you are starting your business or if you’ve got your own entrepreneurial business and you’re interested in making it matter, this is a really great book. I absolutely adore this book. “Start Something That Matters“. This is the Tom’s Shoes story. Really really phenomenal. It’s gonna help you, kind of, refocus your thought process on maybe your moral compass, your integrity, your integrity compass, inside your business. Alright. “Leaders Eat Last“. We’re a fan here, huge fan of Simon Sinek. If you guys have heard me talk about his book “Start With Why” you know that he’s a phenomenal writer. You can check him out on his TED Talks. But “Leaders Eat Last” is a phenomenal book. Again, if you’re trying to grow your team, if you’re trying to learn how to be an awesome leader, and just really create a great culture, and maybe even how to raise up other leaders on your team. It’s a really phenomenal resource. Alright, on our website, also, if you come here to Resources and go to My Toolbox here, you’ll see a few others that I listed out, including that all the way down here at the bottom here. Keep going, keep going, “Start with Why”. So you can check that out here. There’s some other resources here as well. Some people I follow, some really great tools that we use inside of our business here. 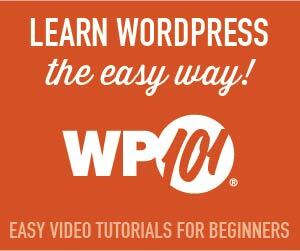 So, check all of these resources out and I hope you have a great WordPress Wednesday. Bye, y’all.